Virtually every family in Great Britain and the Commonwealth lost relatives in the war to end all wars. That slaughter, which lasted from 1914 to 1918, finished exactly 100 years ago, on Sunday November 11, 1918, although deaths connected to the war continued for many years. Kintyre’s weekend of commemoration begins at Kilkerran’s war graves cemetery on Saturday. 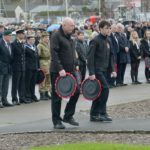 Campbeltown Royal British Legion Scotland (RBLS) members will meet the minister, the Reverend William Crossan, a piper and a musician from Campbeltown Brass, shortly after 10am in the cemetery for the 11am outdoor service. On Sunday, RBLS chairman George Rahman and piper John McGeachy will be at the Esplanade war memorial from 6am as part of the nationwide Battle’s O’er commemoration of 1,000 pipers. 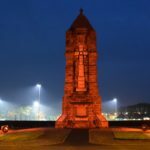 Mr Rahman has requested that individuals and organisations laying a wreath on Sunday report to him at the Esplanade war memorial at 10am, before the parade from the Old Quay at 10.15am. Sunday’s outdoor service will be conducted jointly by Reverend Anne McIvor and Rev Crossan. Following the service, the parade will march to Highland Parish Church for its commemoration service. At Lorne and Lowland Church, during the service, the Glasgow Gaelic choir will perform An Eala Bhan – The White Swan, a Gaelic song written by a soldier in the trenches. 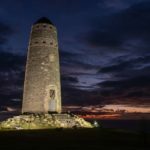 Later on Sunday evening, it is planned to light a beacon by the war memorial to link with 1,000 beacons across the UK. Further services in Kintyre include a 10am parade of Carradale Scouts to the war memorial for 11am in Carradale. In Southend, there is an 11am outside service at the war memorial with Scouts, followed by an 11.45am service in Southend Church. A commemorative tree is to be planted and blessed at Dunaverty hall after the service. Clachan’s 11am outdoor service is at the memorial gates and there will be a simultaneous service at Glenbarr war memorial.